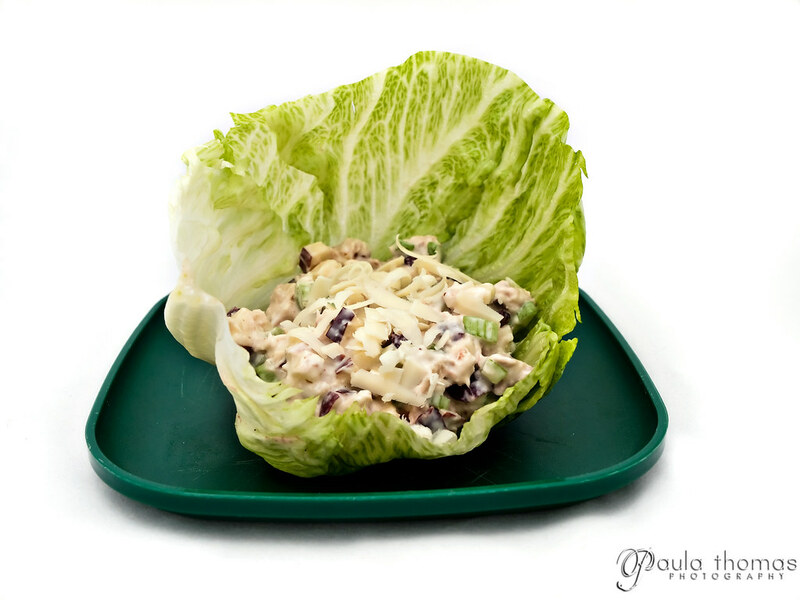 I made Waldorf Salad this week from a recipe on allrecipes.com. I was actually referred to this recipe back in February by Frank when I was looking for something to do with a bunch of yogurt I had so I decided to make it again for "W" week for my Food A-Z project. It's a pretty easy recipe and just requires a bit of chopping. I didn't really alter from the recipe other than not including dates and using craisins instead of raisins. What I ended up doing is rolling it up in the lettuce and ate it like a burrito. 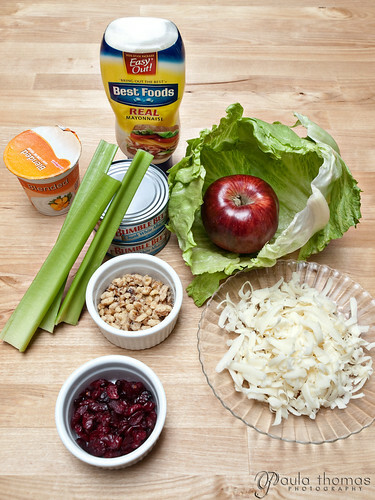 In a large bowl, combine the tuna, apple, celery, raisins, dates and walnuts. Combine yogurt and mayonnaise; add to tuna mixture and toss to coat. Serve on lettuce-lined plates; sprinkle with the cheese.